A private online social platform for teachers and students to share ideas, files, events and assignments. 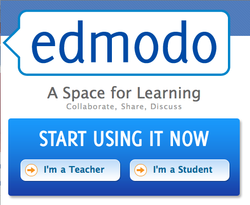 Built on a microblogging model, the site allows teachers the ability to handle a good deal of class activity online. Teachers can send out assignments, receive completed assignments and assign grades using the online platform. In addition, they can maintain a class calendar, store and share files, have a public (RSS) stream, and conduct polls. Teachers can also use the site to send text (SMS) alerts to students. Users have a home page where they can see a summary of recent activity for their class. The home page allows the teacher to make a new assignments, assign an event to the calendar, send out an alert, write a note to an individual or a group of students, and share links or files with students. A learning management system that features numerous tools for teachers, including calendars, assignments, and class rosters. Named best classroom management system for 2011 by the Codie Awards. BrainHoney provides core learning services around grades, objectives, alignment and assessment — and integrates with everything else. Academically, BrainHoney tracks individual objective mastery across instructors, courses, and schools through multiple modes and levels of assessments. And it makes it so easy that instructors don't have to think about it. A learning management system designed to look and act like a social network. It allows teachers to perform routine tasks like recording attendance and grades. Schoology also provides a platform for giving tests and other assignments online. The social networking aspect of Schoology lies in the interface for posting messages to a large community (whole school), to a smaller community (an individual class), or to individual students. The interface will look very familiar to anyone that has used Facebook. This is the Ontario Ministry of Education LMS. It uses the Desire2Learn eLearning solution. CourseSites is powered by the latest Blackboard Technology (one of the most popular learning management systems in the US). The majority of powerful core features of these technologies are available at no cost to use by individual teachers and students at all levels. Free cloud-hosted LMS+, with nothing to download or install. 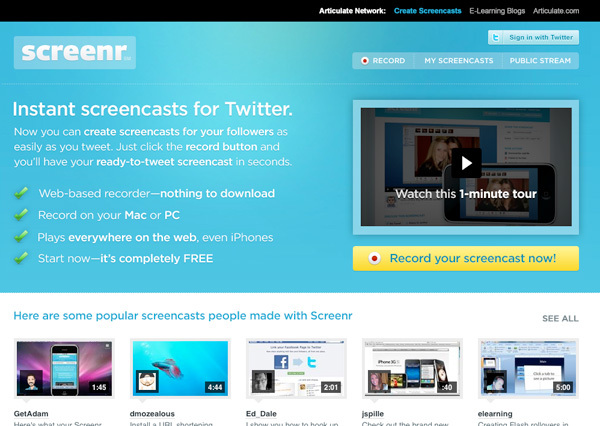 Includes Facebook-like news feeds and social networking. Free learning management system that teachers can use to record grades, post assignments, and interact with their students. Students can use Instructure Canvas to communicate with each other and collaborate on assignments. It integrates Facebooks, Google Docs, and email systems outside of Instructure. Another neat feature of Instructure Canvas is that students can subscribe to RSS, email, and cell phone alerts to stay abreast of any new content their teachers post. Pearson, the publishing giant, has joined the software giant Google to launch OpenClass, a free LMS that combines standard course-management tools with advanced social networking and community-building, and an open architecture that allows instructors to import whatever material they want, from e-books to YouTube videos. A learning management platform that supports open education resources. Rather than an LMS that closes off both academic resources and academic progress, NIXTY is designed to support open courses so that schools, teachers, and students’ work is not necessarily closed off from the rest of the Web. K-12 cloud-based instructional desktop that gives teachers and students access to all their applications and files for anywhere, anytime availability.It can run Windows based applications and web apps in the same virtual desktop. This is a paid subscription option. Click here for a full feature list. Create a "canvas" and pull in other materials--from videos to URLs to plain old text. They can annotate the pieces, then share their collection with either students or teachers. The web-based version of SMART Notebook software for the Smartboard. Service for creating, assigning, and tracking your students' progress on flipped lessons. eduCanon allows teachers to build flipped lessons using YouTube and Vimeo videos, create questions about the videos, then assign lessons to their students. Teachers can track the progress of their students within eduCanon. If you find a good OER (open education resource like MIT Open CourseWare) and copy it into your project, and meanwhile the OER keeps evolving, your project may quickly become obsolete. But OER Glue , recognizing the transience of Web 2.0 resources, lets you mash live OERs into your project. "Your content stays fresh." OER Glue also integrates with many important educational and cultural Web 2.0 platforms and sites, including Google Docs, Twitter, Facebook, YouTube, Blackboard, Moodle, Flickr, Wikipedia, Plone, Drupal, Joomla, WordPress, MediaWiki, RSS, Delicious, Google Calendar, Survey Monkey, Maple TA, IRC, SMS, e-mail, and more. Zoho Challenge is an online testing tool that smoothly tackles your test requirements with smart, friendly interfaces. Quizlet gives you a specialized learning mode, flashcards, randomly generated tests, and collaboration tools for classmates to help you study those words. Features includes: Quizlet keeps track of the words you know and only retests you on the ones you don't. You can share your vocabulary sets with classmates and get email notification when others make sets for you. You can import words from a file without having to retype them into Quizlet. Online testing website which allows, teachers and businesses to add their own tests online and have their users take them. Blubbr is a free website that lets users create and play quiz games from YouTube videos.The site calls these “Trivs”. Users can play trivs in different categories, from celebs and music to sport and, more importantly, education. Lets you study and learn topics faster using a study platform that utilizes clever flashcards, quizzes, games and repetition while bringing all of this to you in the most effective way for your pattern of learning. Helps you build quizzes based upon your slides. The basic concept is that you can upload PPT or PPTX files containing questions then add answer choices to create an instant-feedback quiz. The quiz can be set to allow students to try answers until they get the correct answer or the quiz can be set to allow only one try per question. Quiz-based e-learning apps for iPhone and Android platforms. Quipper also offers a free app generation platform, which allows clients to publish their own quiz apps without the need for coding. Quipper does not charge users at any stage of the app generation process, only taking a revenue share if the client decides to charge users for their apps. Clients hold full copyright of their app and its content.